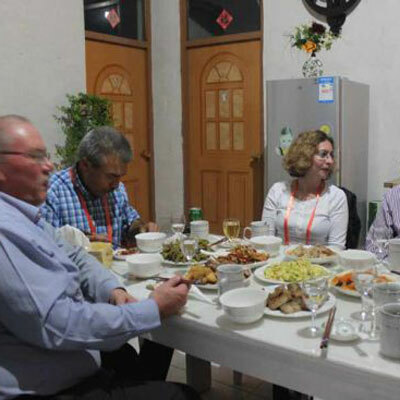 Food is a vital part of China and its culture. It's something that Chinese people today are deeply proud of. By exploring the country through its food you will come to understand more deeply what it is about now and what it was in the past. we'll lead you around culinary hot spots, introducing you to the local favourites. Book a hosted dinner through us, and we'll guide you through the meal, teach you about social customs, help you understand the menu and assist you in ordering a delicious meal. quick reply in 1 hour. 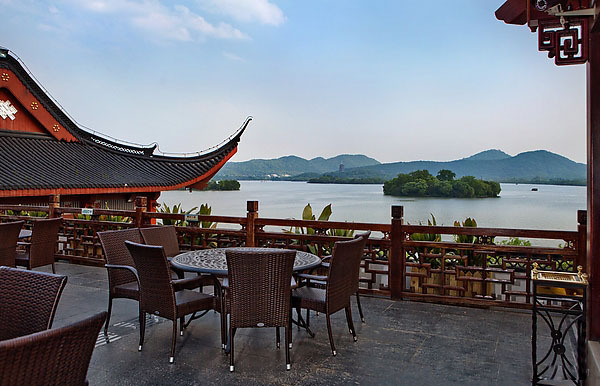 Pick up from your midtown hotel in Hangzhou and head to a wharf at West Lake for a private boat cruise. Finish your cruise. Move on to Huagang Park ( Famous for red carp ). The Huagang Park was a private garden of an official in the Southern Song Dynasty about 800 years ago. Then go for lunch, we recommend two resturants..Louwailou ( established in 1848 ) or Aman resort to try best hangzhou local food. 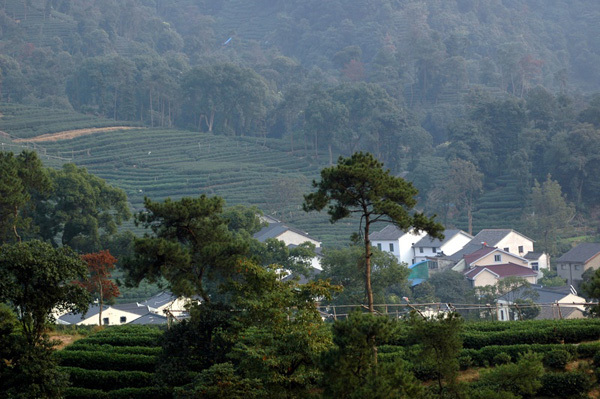 After lunch,you are taken to Longjing Tea Plantation to experience the traditional method of making Longjing (Dragon Well) Tea as well as drinking, picking, smelling or buying. 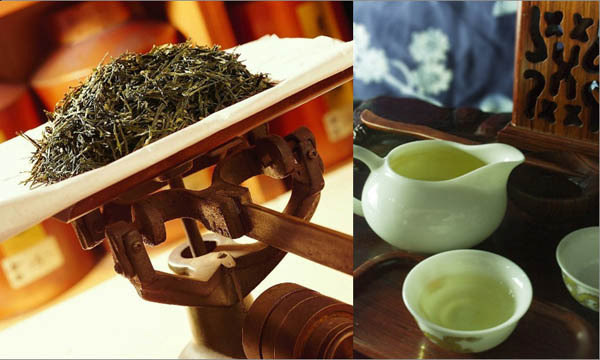 Hangzhou is famous for Longjing Tea, which is the best green tea in China.After the whole day tour, you will be transferred back to your midtown hotel in Hangzhou. 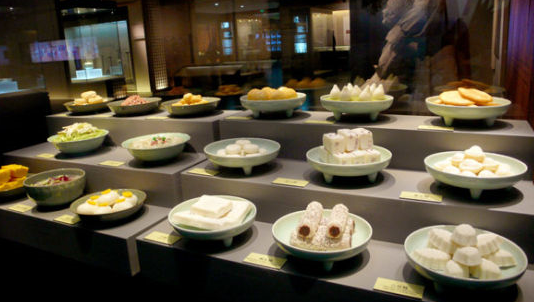 after that,visi Hangzhou cuisine Museum. 3 dinner at local family 's home. all fees included and there is no hidden/extra surcharge! China.After the whole day tour, you will be transferred back to your midtown hotel in Hangzhou. Hangzhou cuisine, one of China’s top eight culinary disciplines, is characterized by its sweet and light flavor. It features a delicately seasoned, light-tasting mix of seafood and vegetables, often served in soup or by the liberal use of sugar and a myriad of sauces. Typical cooking methods include boiling, stewing, braising and simmering. The result is a fresh, tender, fragrant and rich flavor, either crispy or soft, but far from greasy. 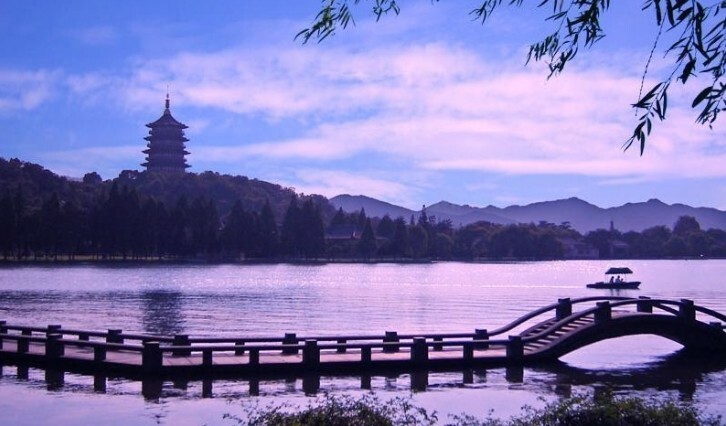 Due to its unrivaled cuisine, Hangzhou shines as a culinary paradise. Its dishes, desserts, dim sums and snacks, are simply irresistible for food aficionados. Every traveler should sample Hangzhou's Top Ten Dishes. These including Dongpo Pork, Beggar’s Chicken, West Lake Carp in Sweet and Sour Sauce, Shelled Shrimps with Dragon Well Green Tea, Jingle Bells, Sizzling Rice in Tomato Sauce, West Lake Water Shield Soup, Sister Song’s Fish Broth, Honey Ham and Stewed Spring Bamboo Shoots. For a taste of these as well as top snacks like Wu Hill Crisp Cakes, Happy Pairs and Cat’s Ears, you can head to Lou Wai Lou, the oldest culinary establishment in Hangzhou, or Zhi Wei Guan, a one-stop snack shop. Though its appearance fails to evoke a vision of deliciousness, this dish named after Su Dongpo, one of the most talented poets living in the Song Dynasty (960-1279), will surprise you for its succulent, juicy and savory taste. No banquet will be complete without this famous dish of humble beginnings. Rumors had it that, when Emperor Qianlong of Qing Dynasty (1644–1912) was riding a horse along Qing He Fang Historic Street, he smelled something exceptionally aromatic. Looking around, he searched for the source of this fragrance only to find a beggar sitting in the corner and enjoying a roasted chicken. When the emperor’s escorts asked the beggar about the cooking method, they got a very simple answer: “You just need to clean it, muddy it and roast it.” Returning home, the imperial chefs prepared a chicken in this way, and it turned out to be the best one this emperor had ever tasted. Tender, sweet and sour, this dish has graced the dining tables of the local people for millennium. The most authentic version is prepared with carp from West Lake and seasoned with a special mixture of sauces that give it an appealing taste. Just be careful, because it is kind of tricky to pick out the bones. When the fresh shrimp from West Lake meets the famous Dragon Well Green tea leaves along those rolling tea plantations, a most famous delicacy takes form. Fried bundles of tofu are a crunchy treat favored by both Hangzhou natives and international friends for their impeccable taste and arresting history. To prepare this dish, rolled-up sheets of tofu will be sprinkled with minced meat before being stir-fried to a golden color. This treat goes particularly well with sweet ketchup or thick soy sauce. To make this dish, paper thin and crispy rice crusts contained within bowls will be softened by steaming hot soup and seasoned with a tomato base which is both sweet and sour. It also involves shrimp which are netted in local waters. Take a bite, and you will fall in love with it instantly. It could be the most famous, though not necessarily the most common soup served in Hangzhou’s restaurants. An aquatic plant thriving in West Lake is key to the success of this dish. This soup has an appealing color and is also rich in Vitamin C and iron. This is often served as dessert at the end of a banquet. Happy Pairs symbolizes the star-crossed “Butterfly Lovers”, Liang Shanbo and Zhu Yingtai, the counterpart of Romeo and Juliet, and is a snack you do not want to miss. It is a kind of bun filled with an assortment of ingredients like ham, candied dates, chestnuts, plums, pine nuts, meat and Sweet Osmanthus flowers. Hangzhou snacks is an important part of Chinese food culture, variety of fancy styles, different seasoning ingredients and peculiar cooking methods make the Hangzhou cuisine unique. Hangzhou snacks are mostly reclaiming in Hangzhou native products, and often associated with West Lake scenic spots. When visiting the lake in summer, you can taste the lotus root starch. While wandering the Nanshan Road in fall, try to go to the osmanthus hall to have one bowl of West Lake osmanthus chestnut soup. These snacks have long history, and many are accompanied with legends. Such as the Wushan crisp cakes, green package stewed, Hangzhou typical famous snacks have crab roe soup bun, crystal jade dumplings, green package stewed etc. The frozen walnut and crab roe soup bun in Yijiaxian are the boutiques among all snacks. The bun uses their unique crab roe and soup as the stuffing, makes the dense soup and rich crab roe. Once the buns are out of the steamer, the milky and crystal outfit and the yummy smell make your appetite enhance immediately. This is one of the ace snacks of Red Mud food beverage company, is has always been the favorite for people. The ingredients include ham, green bean, carrot, winter bamboo shoots, shrimp, chicken meat, mushrooms, sesame oil and more than ten others. Using the unique Red Mud cooking recipe, the dumplings are rich, clear, and exquisite in shape. It tastes fresh and delicious once put in mouth. This is the kind that everyone would love. Speaking of this snack, every Hangzhou folk must know that, this is a snack that you can see a lot on the streets. Even though the material is simple, the cooking style is easy, which is crapping fried bun with green onion into spring rolls, fry it on the pan till the rolls turn into yellow and crispy. Dipping some sauce, then you can enjoy it. But when talking about its history, it can be dated back to Song dynasty. Legend says that the patriotic General Yue Fei was framed by Qin Hui. People hated Qin so much, they make the fried bun into his shape and fry it in the oil and add into rolls, then made this snack. By doing this, people can remember Yue forever and revile Qin. Hence the name is also wrapped onion and Hui if translated directly. Luxury sedan & professional English speaking driver guide. Let your mind soar and take you wherever you want to go! Culinary trip is a new way of discovering culture, heritage and most of the regional food that appeal many gourmets and fans. Take a Hangzhou gourmet tour with Hanzhou Private Tours Studio to taste Hangzhou's rich and subtle flavors, learning to cook several Chinese dishes . 2. 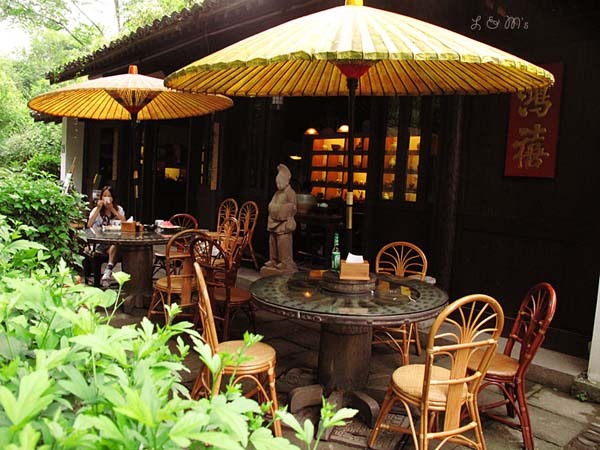 We recommend some best-selected local hangzhou restaurants . 4. 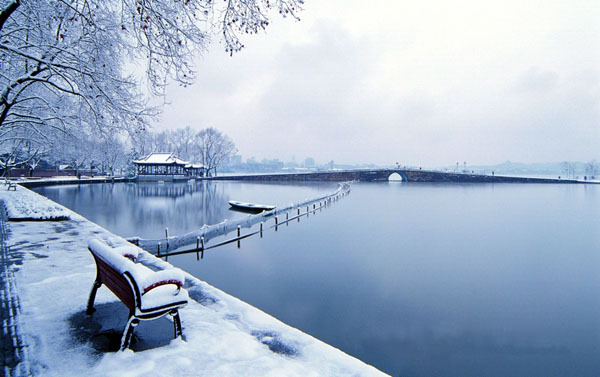 Experienced Hangzhou local licensed guides and 24 hour support by our travel consultant. Looking for a unique dining experience while you can make a new local friend in Hangzhou? Skip restaurants and join us on an unforgettable treat during your time in Hangzhou, Eat with Locals. On this special feast, Haitao, our local host, invites you to visit his cozy & chic urban home, where he will be preparing a delicious home-made Chinese meal for you. You will get exposure the art of Chinese culinaryYour special meals will include at least 4 dishes and local wine or beer.